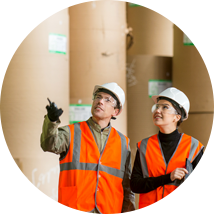 Cardboard recycling & paper recycling can boost your bottom line. With our high-quality recycling management services, you’ll reap the benefits ofrecycling without the hassle. so you’ll be improving your business’ bottom line and our world. Our specialty is buying and selling salvage materials, focused on cardboard recycling. We deal with various grades, in bale, roll, and skid form, and we sell both domestically and internationally. We’re the source for the resources you need. Are you looking for recycled cardboard or another raw material that might be generated as a by-product of industry? Recover can help. We do more than paper and cardboard recycling. 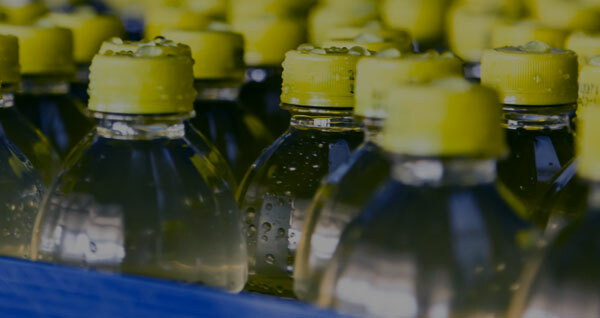 If you generate a waste stream that might be put to better use, our specialists will find a solution that benefits your business—and your bottom line. Maybe you think you should, or could, be recycling more but don’t know where to start. Our comprehensive waste audit can get you on the road to sustainability and increased revenue. We handle a variety of recyclable materials to meet your needs and keep our world green. Most businesses can reduce their waste stream by 50% or more just by recycling their corrugated cardboard. We also encourage industries to recycle paper, plastics, and other materials. Industries such as grocery chains, distribution centers, and warehouses generate a lot of cardboard waste. Almost everything shipped in the U.S. comes in a cardboard box, which can pile up quickly if you don’t have a plan in place. See how our cardboard recycling services can help! Mixed paper, newsprint, multi-wall kraft paper bags, and more. Find out how we can help you get the most value from recycling your industrial paper—from how you should collect it to make sure it remains high-grade to baling and pick-up, we are your paper recycling partners every step of the way. Shrink wrap, stretch film and more. If you’re running a large industrial operation, the plastic wrapping that surrounds most shipments can add up quickly. Partner with Recover to keep plastics out of our landfills and to increase your corporate revenue at the same time. Bags, boxes, spools, endboards and more. Your business probably has raw materials in its waste stream that you never realized you could recycle. Our sustainability specialists will not only help you identify these materials, but will also consult with you about the best way to collect and store them. Wood and Plastic Pallets are also recyclable. Find out more about our pallet recycling services from our waste management experts. Aluminum scrap, Steel cans and more. Metal recycling can be complicated. We make it easy for you. See more on our metal recycling solutions. Do Good. Go Green. Get Paid. Very few situations in life are truly win-win. But when you partner with Recover to recycle your reusable industrial resources and move toward zero waste, everyone wins. You save money over sending your waste by-products to a landfill and have dedicated waste management specialists on your team to handle all the logistics - mills receive the raw materials that they need for less - we stay in business, and our environmental and energy resources are conserved. Ready to start getting paid? View our recycling services and get in contact to schedule your waste audit. Our business needs change almost daily and the logistics manager and drivers are always putting forth the effort to accommodate our changing schedules and load amounts. We appreciate this excellent service. Their team does a great job communicating both market trends and strategies of improving my company's recycling income. That type of service doesn’t go unnoticed and only builds the working relationship we have with them.